Finding some of the best employee advocacy examples will not only help you understand how other companies are using a social program, but that other well-known brands are quite successful with it. Yet, the concept of activating employees on social may be new, somewhat scary, or just not very clear. This is why we created this post, to ensure you feel more at ease and learn what other brands have done to enhance their marketing, sales, communications, and social recruiting through employee advocacy. FYI: Rather have this content below packaged in an eBook? We got you covered. Download the content here and read it whenever you have the time or easily distribute with your team. Employee advocacy is a powerful strategy for raising brand awareness across social media. While bloggers, thought leaders, and social media celebrities often have large followings, your employees have followers as well (more than you may know) and, those other groups are in a unique position to share about their experiences at and passion for the companies they work for. Employees are not only more approachable–as compared to a celebrity or a CEO–they are also one of the most trusted sources by your buyers. As outlined in Edelman’s Trust Barometer study, buyers trust your employees over your CEO, spokesperson, or marketing department to help them with their purchase decisions. Maybe you’re wondering why you need an employee advocacy program when you already have established brand handles (e.g., @Nike)? According to a study by Cisco, employee posts can generate 8X more engagement than when that same content is shared through a brand handle. Further and for many companies, their employees’ networks are far greater than their brand handles (upwards of 10x in some cases). However, achieving employee advocacy success requires more than simply telling your people to share your company’s content online. You need a plan, you need a policy and guidelines, you need to know what your goals are, and you need to provide your people with a great platform to find and share content from. Ok, take a deep breath. You can do this! Seriously, it’s not hard and the benefits are too good to ignore; if you’re serious about social, you need to be serious about employee advocacy. Below we’ve outlined ten employee advocacy examples from companies that have succeeded in going from zero to success with this strategy. We have no doubt your company can do the same! Need help with your employee advocacy launch plan? This guide will walk you through the entire process to ensure your company is successful. When Andrew Wilson took the helm as CEO of Electronic Arts in 2014, he set out to focus the organization on three core strategic priorities: putting the players first, focusing on digital transformation in all areas of the business, and working together as one team. With 5,500 employees spread across 30 offices in six different geo-regions, the video game company was suffering from multiple, competing internal cultures. EA launched their employee advocacy program, called EA Insiders in 2014. Within a very short time employees from around the globe we’re writing into the program managers about how much more connected they were to their coworkers. New members were sent official certificates and an EA Insiders stocker thanking them for joining and participating in the program and leaderboards and contests were created to spur friendly competition. With thousands of active users across the globe, the EA Insiders program generates tens of thousands of social shares each month to a network of over 1.1M. Electronic Arts has done an amazing job with their employee advocacy program, which should serve as a model for any global consumer brand looking to better connect and leverage their teams. Read more about the EA Insiders employee advocacy program in this in-depth case study. Social media has been a core part of Dell’s marketing strategy for years. Dell was one of the earliest, large tech companies to deploy sentiment analysis and social media monitoring technology. However as time went on and Dell’s ambitions grew, it became clear that they needed a structured, centralized program and platform to realize their full vision. Empowering their employees to share content beyond news about Dell has been hugely central to the success of their program. Employees who participate in Dell’s employee advocacy program have shared hundreds of thousands of pieces of content since the program’s rollout and have driven tens of thousands of clicks back to dell.com. 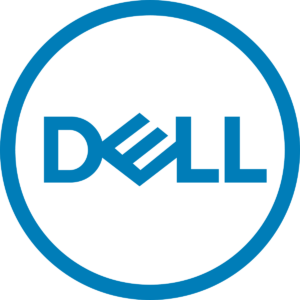 Get the complete Dell employee advocacy case study here. Genesys was one of the first, if not the first company to take employee advocacy into the sales department. Since that time, Genesys has shown how social selling should be done and the lift it can drive. The Genesys social selling program has been in place since the beginning of 2015 and is deployed across their global salesforce. However, simply handing their salespeople a new tool wasn’t enough, they rightfully wanted to understand how social was driving revenue. The most successful manager at Genesys uses social media to open doors for her team. In EMEA a new hire asked if she would have access to social media tools before she accepted the position (younger workers want the best tools, especially those that enable them to use social media). 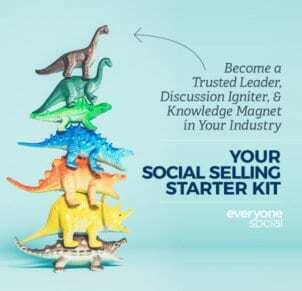 In India, a BDR uses social to connect with admins where it’s culturally unacceptable for a sales rep to go direct to the executive. 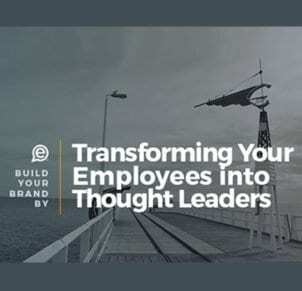 As detailed in our complete case study of their program, the results of Genesys’ efforts have served as the gold standard for how other companies have approached deploying employee advocacy within their own sales teams. From increasing pipeline more than 2x, to deal sizes, to win rates, the results continue to have a demonstrable impact on Genesys’ bottom line. In the year 2018, if a job seeker is missing a Linkedin profile picture, or their profile looks lackluster it’s unlikely that a recruiter is going to want to engage. This is why employee advocacy is such an important tool for the staffing and recruiting industry, and why Kelly Services is a leader in the space. In 2010, Kelly Services hired the Altimeter Group to evaluate their social media marketing strategy. They wanted to put a social system in place that would set the foundation for a modern marketing strategy and that would attract new business and new talent. Bill Oswin, a Recruiting Specialist for Kelly services put it this way: “Since I began using social media I have seen an uptick in the number of qualified connection requests on Linkedin and followers on Twitter. People now know what type of positions I have and that I’m active in the recruiting world.” We call that a win. 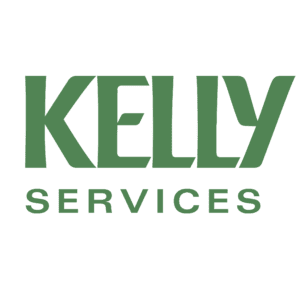 Get the complete Kelly Services case study. 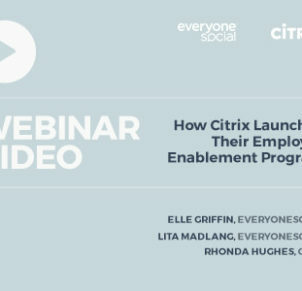 Like many organizations, what brought Ciena to employee advocacy was their desire to have employees be more active on social media, primarily to increase the reach of their brand. However and soon after launching their own employee advocacy program they realized it could also be leveraged to do the same with their channel partners. For three years now Ciena has worked with EveryoneSocial to achieve both these goals: not only are their employees more engaged on social media, but their decision to include channel partners in their program has been a runaway success, so much so that two of their largest partners have now decided to launch employee advocacy programs of their own. Get the complete Ciena case study, including detailed information on how they extended their employee advocacy program to include channel partners. 56% of younger employees (Gen Y’ers) say they wouldn’t accept a job unless they had access to social media while at work, and one third said they would prefer access to social media over a higher salary. 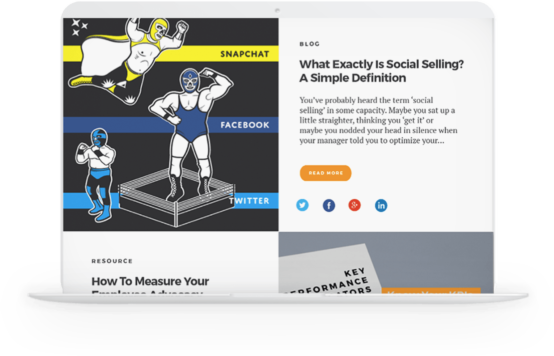 “Instead of fighting employees’ desire to be on social, we’re choosing to embrace it.” said Kira Bernshteyn, Social Media Strategist at Coupa, a newly public software company. Over time, the process become unwieldy as it does for many companies. 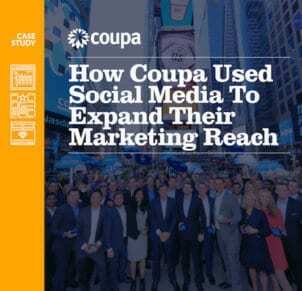 As the company grew to more than 1,000 employees, Coupa’s marketing function has become more sophisticated. 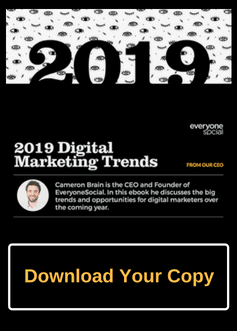 As media coverage and content volume increased, aggregating new content and increasing a number of emails sent weekly become ineffective and caused sharing efforts among employees to plateau. “Ultimately we decided that EveryoneSocial was the best platform for us,” Kira said. In January 2016, Coupa launched their employee advocacy program company-wide. Kira filled eight company streams with relevant content from corporate blogs, professional development and leadership seminars, partners’ Twitter accounts, and industry news and surveys. 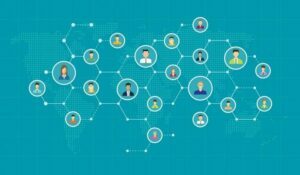 Employees began sharing that information with their own networks and in a single month quadrupled Coupa’s total reach across social media. HPE’s employee advocacy strategy is unique due to their use of EveryoneSocial—an employee advocacy platform. It is a service that helps businesses unlock the power of employees in extending their social reach. With EveryoneSocial, the company was able to easily curate, manage, and publish content in their chosen social media channels. To help fuel their advocacy program, HPE offered incentives and guided employees on the proper way to interact with social media platforms. Gamification, in particular, is one of the effective tactics that increased their employees’ drive to advocate for the HP brand. Zappos takes pride in having a free, tightly-knit culture. This culture shows in the way employees or “Zapponians” can tweet about their day-to-day operations. It doesn’t matter if it is a costume party or employees grouped together in a meeting. As long as it is about the employees, it deserves a spot in the EyeZapp–Zappos’ official Twitter page for employee advocates–with the hashtag #CompanyCulture. As a result, Zappos can attract both customers and potential employees who wish to become part of the company culture. To inspire employees to participate, the company also keeps a leaderboard that lists the top performing employees in social media. If you’re interested in more about how employee advocacy can be used for HR and talent acquisition, we suggest reading the Kelly Services and Electronic Arts case studies. 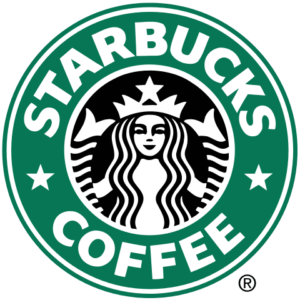 One of the commendable tactics in Starbucks’ brand advocacy strategy is that they refer to employees as “partners.” This simple decision granted employees the sense of belongingness and accountability for their social media activities. A crucial ingredient in their employee advocacy program is the comprehensive social media guidelines they made widely available to their partners. They also built dedicated social media accounts for their partners, which now has almost 44,000 followers on Twitter and over 340,000 likes on Facebook. The Success of Reebok’s employee advocacy program revolves around encouraging employees to share their passion for fitness and then incorporating a provocative hashtag–#FitAssCompany. As a result, the company can easily track the content that employees have shared and evolve their approach over time. Reebok also values openness within the organization and encourages employees to be authentic. However, to keep the brand relevant, they want employees to focus on sharing their fitness activities such as weight-lifting, running, and cycling primarily through networks such as Facebook and Instagram. We packaged the above information in a complete guide. You can grab your copy here and share with your team. Employee advocacy may not be a new concept, but with the rise of social media, it becomes imperative for companies to utilize their workforce through social. And while these examples do have thousands of employees, companies with a few hundred employees can also benefit from employee advocacy. If you’re serious about social media as a marketing, sales, or talent acquisition channel for your company, you need to be serious about employee advocacy too. In the coming years, every company with more than a few hundred employees will have an employee advocacy program in place. We hope the employee advocacy examples included above give you the inspiration to create or improve your own program. It’s not hard, especially if you have the right partners. If you’re looking for more information we recommend you check out our customer case studies, our ebook and resources, and our blog. Interested in seeing how EveryoneSocial’s employee advocacy platform can help your business? Get your personalized demo walkthrough with our team.